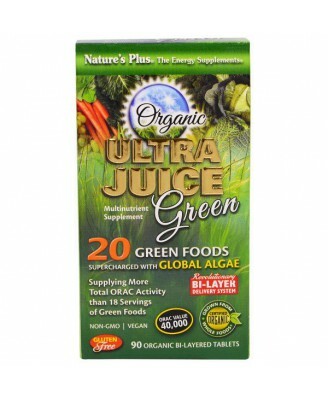 Certified Organic Ultra Juice Green is a green food concentrate, delivering the nutritional benefits of vegetable juice and providing a complete profile of protective phytonutrients found only in organic vegetables and sea vegetables. Organic tapioca, dextrose, organic acacia gum, organic pullulan powder, organic brown rice sweetener, organic rice protein, organic potato starch, chlorophyllin and organic coating (tapioca maltodextrin, sunflower lecithin, palm oil, guar gum). Does not contain: Magnesium stearate, stearic acid, titanium dioxide, carnauba wax, talc, yeast, hexane and artificial: flavoring, sweeteners and preservatives. Certified Organic Ultra Juice Green is a green food concentrate, delivering the nutritional benefits of vegetable juice and providing a complete profile of protective phytonutrients found only in organic vegetables and sea vegetables. Ultra Juice Green is power-packed with super-algae from around the world, featuring certified organic spirulina, chlorella, Irish Moss, and more! 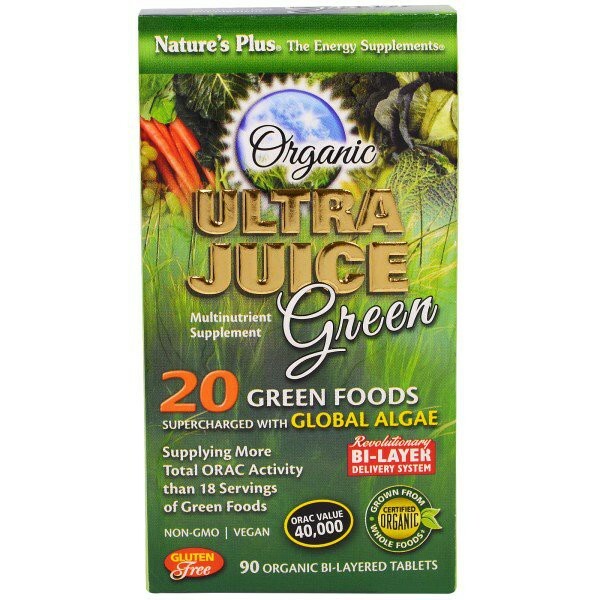 Ultra Juice Green provides more total ORAC antioxidant power than 18 servings of common fresh green foods. 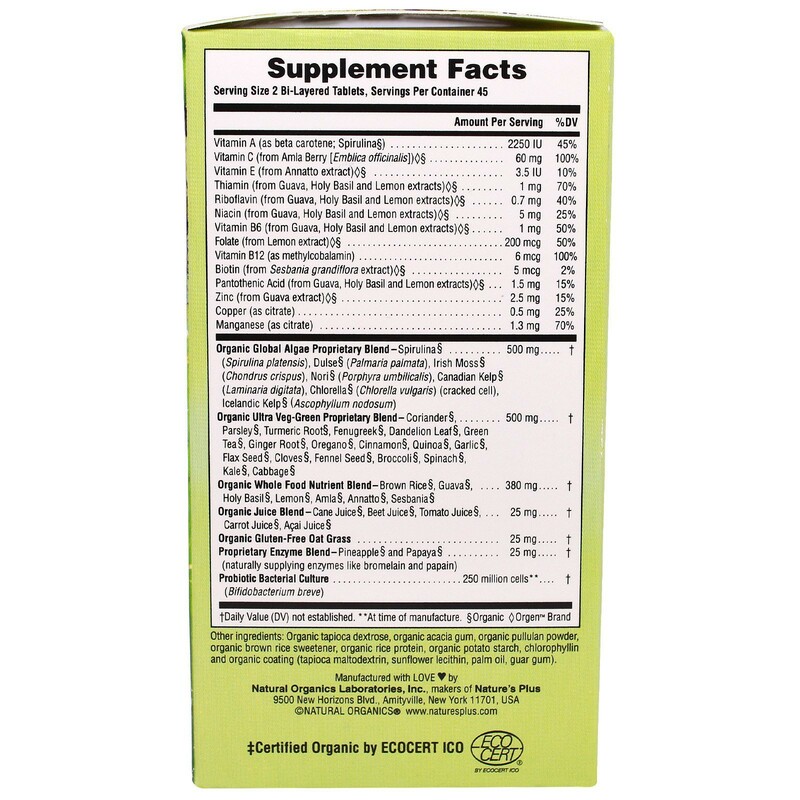 As a dietary supplement, take two organic tablets once daily.